Pillar Lights | Just Shooting Memories! This is the entrance to the park in downtown Fairmount, Georgia. Driving by, I had noticed the tree set up in the park and decided to stop. 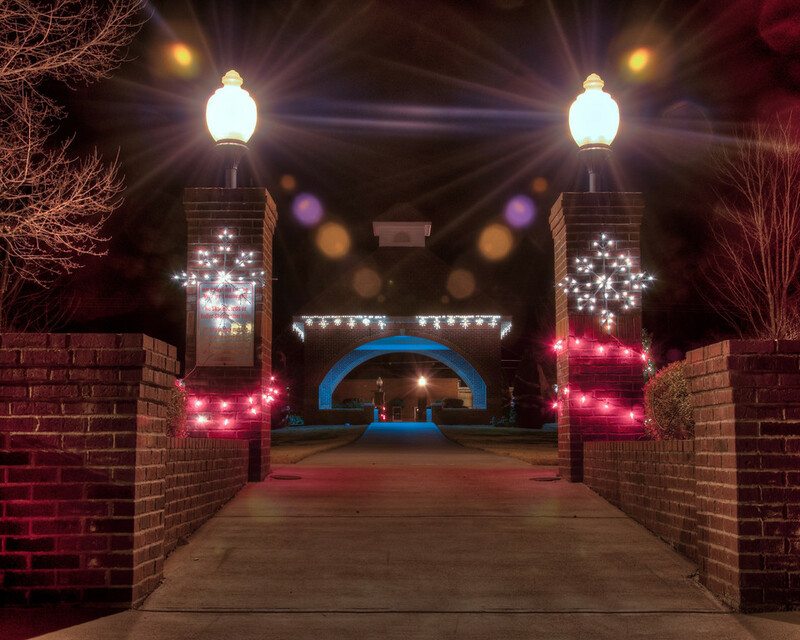 As I was walking around, I noticed these snowflake lights on the pillars on the back entrance to the park. I liked the different color lights and the blue glow coming from inside the pavilion in the center of the park.